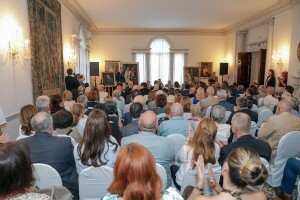 In the presence of Their Royal Highnesses Crown Prince Alexander and Crown Princess Katherine, the launch of the book “Alexander I, The Knightly King” and opening of the accompanying exhibition “Portraits of King Alexander”, author Mr Dusan Babac, member of the Privy Council were held at the White Palace in Dedinje. The book was published by “Euro Book”. 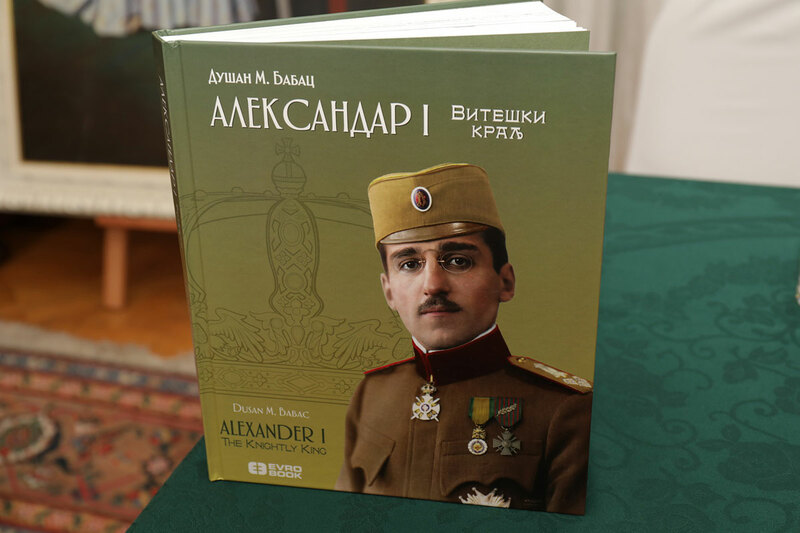 “This year it is exactly 130 years since the birth of King Alexander the First, the King Unifier, my grandfather. During his relatively short life, he experienced different turns of fate. He experienced blessing and punishment, an ascent and temptation, family happiness and loneliness, he perceived glory and dark side of fame, burden of obligation and privilege of serving, he encountered love and hatred, he looked into eyes of death, and finally death looked back. He left a luminous trail, as a comet in the night sky. He invoked hope among some and fear among others. Some regarded him as a savior and a herald of the new and happier times, some as embodiment of all their fears. The first ones mourned his ascension to eternity, while the others celebrated his departure. Both of them were left alone without the world which created and kept them alive. When they realized that, it was too late already. 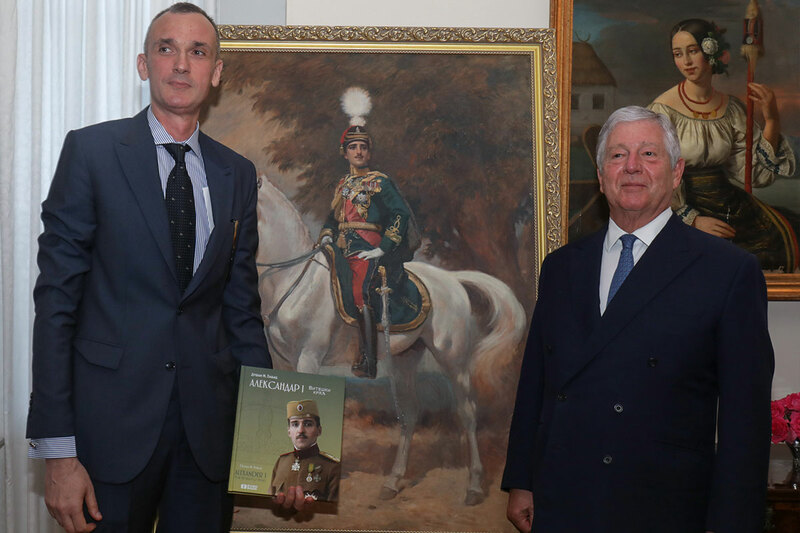 While we await that his monument is to be built in Belgrade, the city where he lived for years, the city that he liberated on two occasions during the Great War, let this book be a constant reminder and a small tribute to a great historic character”, said HRH Crown Prince Alexander. Mr Babac, author of the book, has achieved to present facts and great historical moments from King Alexander the First times, and his personality was presented to the public through this very interesting exhibition and the works of many painters, among them Paja Jovanovic, Uros Predic, Vlaho Bukovac, Georges Scott, Vasa Eskicevic, Vsevold Guljevic. “Is there anyone in our history more beloved during life and more mourned after tragic death by Serbian people than King Alexander I Karadjordjevic? The Serbian people didn’t recover from that tragic October of 1934 until today, and it didn’t hear any good news. 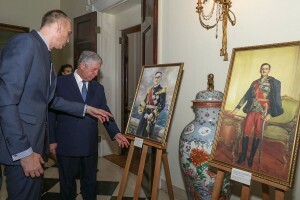 He was a direct descendant of two out of three new age Serbian National Dynasties: Karadjordjevic’s, who ruled Serbia and Petrovics, who ruled Montenegro. 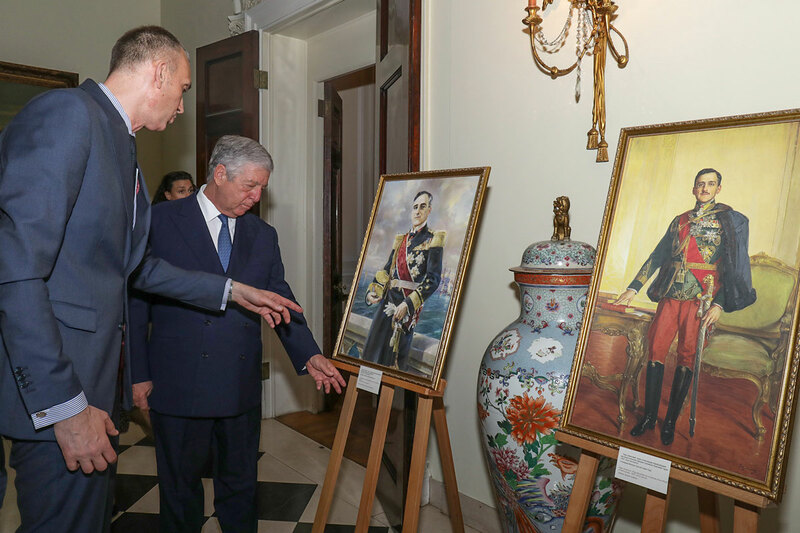 He was a great grandson of the leader of the First Serbian uprising, Karadjordje Petrovic. Together with his people, he liberated Kosovo and Metohija and all of old Serbia, the Vardar Macedonia of Nemanjics including, bringing them back after several centuries of Turkish rule. King Alexander liberated all Serbian countries and unified all Serbs in one country, with a territory greater than the Dusan Empire. With his personal initiative and support he was mostly meritorious for the unification of the Serbian Orthodox Church, for the first time after the collapse of Patriarchy in Pec in 1776. It is fair to ask whether such a personality exists anywhere in world history, personality being for so long and so persistently ignored and whipped off from the memory of its’ Nation, characterized in the most unfavorable way. This book cannot rectify all the injustice done to Alexander I Karadjordjevic, and after all it is not assuming to, but it will try to present a chivalrous King as a great man and combatant through numerous paintings and words, who spent his whole life with people and for the people”, said Mr Dusan Babac. The event at the White Palace was attended by Mrs. Betty Roumeliotis, HRH Crown Princess Katherine’s sister, representatives of the Diplomatic Corps, members of the advisory bodies of the Crown, media as well as by many other distinguished guests from the sphere of culture and politics of Serbia. Book “Alexander I, The Knightly King” covers in the most comprehensive way life and work of King Alexander I, with numerous facts and illustrations, and can be bought at book shops, while the exhibition “Portraits of King Alexander” will be open for visitors during working days from May 29 to June 12 at 11 am and 2 pm, with previous announcement to the Office of HRH Crown Prince Alexander via phone 011 306 4000.